LI Xinming, SUN Ye, XIAO Chunling. 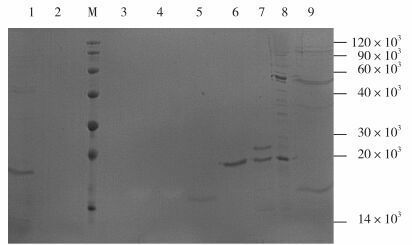 Construction of Recombinant Pichia pastoris Expressing Human SOD[J]. 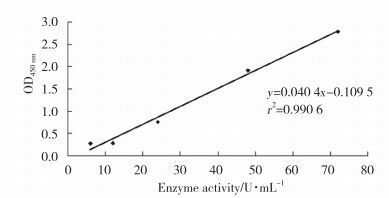 Journal of China Medical University, 2017, 46(12): 1117-1123. 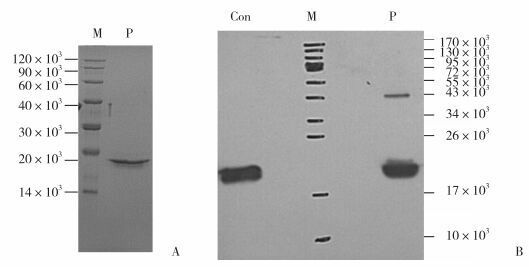 Abstract: Objective To optimize the expression of active human Cu, Zn-superoxide dismutase (SOD) in recombinant Pichia pastoris (P.pastoris).Methods A recombinant human SOD expression construct was generated and expressed in P. pastoris. The culture time, concentration of copper ions in the medium, and conditions for methanol induction were optimized, and SOD was preliminarily purified.Results Five P. pastoris recombinants that stably expressed human SOD were obtained. SOD could be purified from the culture supernatants of the recombinant strains by chromatography. The amount of SOD secreted into the supernatant was high with optimal activity, when the incubation time was 48 h, copper ion concentration in the medium was 0.5%, and methanol concentration was 1%.Conclusion An effective method for the expression of soluble human Cu, Zn-SOD in P. pastoris was established, and the enzyme produced using this method exhibited high activity. This method provides a foundation for further research on the production of human SOD by fermentation.